Take Back the Night is the first worldwide effort to combat sexual violence and violence against women. In the 70’s the issue of violence against women became a topic of public conversation when a number of incidents garnered media attention. CrossFit is the principal strength and conditioning program for many fire departments, police academies and tactical operations teams, military special operations units, champion martial artists, and hundreds of other elite and professional athletes worldwide. Forever dance is the East Lake's dance connection. With programs offering dance lessons in Tap, Ballet, Jazz, Ballroom and more, it is the location for dance. Forever Dance has classes for children, teens and adults. 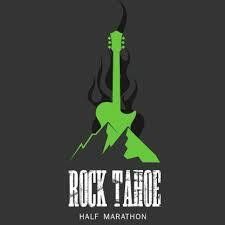 Rock Tahoe Half Marathon! You're about to Run. Rock. and Recover. in one of the most beautiful places in the world! Gaia-Licious is an experiential gift boutique located in the Sierra Mountains of California. Our unique products include a wide variety of items from many corners of the earth. As our selection changes often, we encourage you to come by, when in the area. Gaia-Licious is a fresh alternative, bridging the gap between the beautiful mountains and the funky city life. Offering a relaxed and inspirational shopping experience, providing an eclectic fusion of gifts, clothing, body care products, music and books. Our store supports fair trade products made by local artisans and communities around the world. The Gallanty StandardYou will receive hands on one-on-one care from your physical therapist every visit. We will listen to your goals so your therapist can gear your treatment around your diagnosis and your expectations. Your entire visit will be tailored to you and your needs. Free ConsultationYour injury may be minor - let us help you avoid a major injury. Call now or stop by our Lake Tahoe office to schedule a free consultation. Se habla español. Asbestos.com- Yoga is one of the most widely used alternative therapies for cancer patients. The Mesothelioma Center at Asbestos.com is the most comprehensive online resource for information on asbestos-related cancers and includes research on yoga and its’ health benefits for mesothelioma patients . Visit our website for more information on yoga and mesothelioma. "The Link Between Childhood Trauma And Addiction In Adulthood"